Home How-To Live From The ’80s! You’re invited to go back in time with me, no DeLorean required. 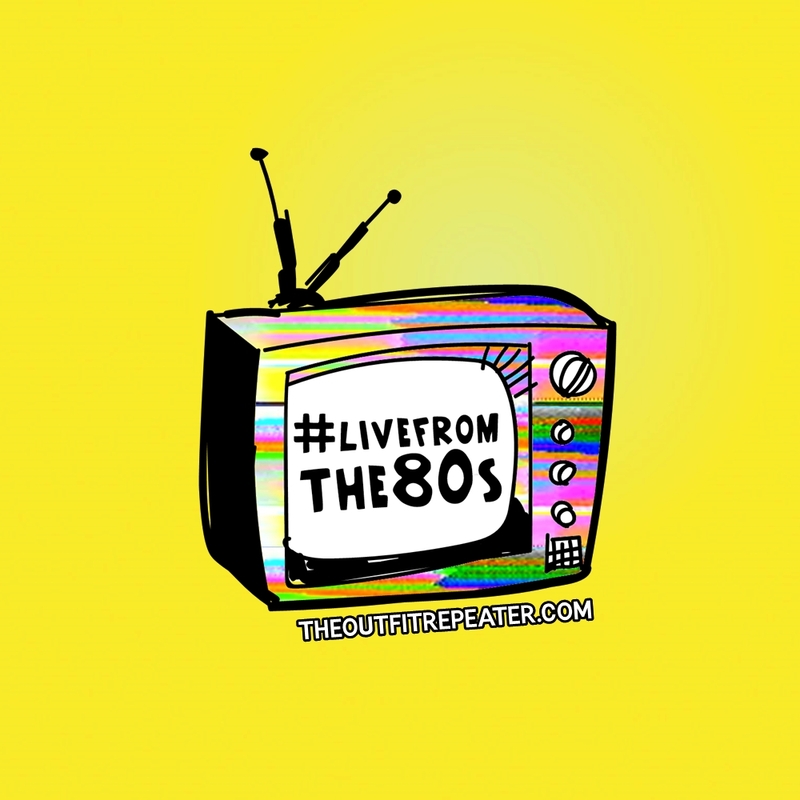 Everyday this week (17th-22nd) I will be posting #LiveFromThe80s on my blog & social media and I want you to join me! This will be a fully interactive week as we celebrate the past with live videos, daily challenges, and fun activities. Below is a full line-up including how you can gain access to bonus content by joining my Patreon campaign. Take a look at the schedule and I hope to see you there! *All events are scheduled for Central Standard Time. Adjust accordingly. 9am – I’ll kick off the week with a fun outfit post here on the blog. 2pm – Patreon backers that pledge $10 or more will get access to a bonus bedroom tour post. 4pm-5pm – Live closet tour video on Instagram stories. Monday Challenge – Share your most Vogue worthy outfit with me on Twitter and use hashtag #LiveFromThe80s. I’ll be RT-ing my faves all day! 9am – A new outfit will be live on my blog. 2pm – Patreon backers who pledge $10 or more will have access to a bonus “favorite board games” post. 3pm-4pm – Live game play of Pac Man board game on Instagram stories. Tuesday Challenge: Share a snap of your favorite retro board game with me on Twitter and use hashtag #LiveFromThe80s. I’ll be RT-ing my faves all day! 2pm – Patreon backers who pledge $10 or more will have access to a peek of my VHS collection in a bonus “my favorite vhs tapes” post. 4pm-5pm – Put yourself to the test by answering 1980s music trivia on my Instagram stories. Wednesday Challenge: Find your favorite ’80s tune on YouTube and share the video with me on Twitter and use hashtag #LiveFromThe80s. I’ll be RT-ing my faves all day! 2pm – Patreon backers who pledge $10 or more will have access to a bonus post where I share my Babysitters Club merch. 4pm – Live play of Mad Libs on Facebook. Thursday Challenge – Share a photo of your favorite 1980s toy with me on Twitter and use hashtag #LiveFromThe80s. I’ll be RT-ing my faves all day! 9am – A new outfit will be live on my blog. Plus a non-live video of “Reacting to 1980s Fashion” will be posted on my YouTube channel with a very special guest! 2pm – Patreon backers who pledge $10 or more will have access to a bonus bloopers video that corresponds to the one posted on my YouTube channel that day. 6pm – Live sleepover-style game play of classics like MASH, Marry Date or Dump, and reading Girl Talk fortunes on Instagram stories. Friday Challenge – Share a picture of your latest and great thrift store find on Twitter and use hashtag #LiveFromThe80s. I’ll be RT-ing my faves all day! If the week goes well and you’re all up for it, I will add Saturday as a bonus day! I will keep you updated as the week progresses on whether or not this day will happen. 10am – GRWM live make-up video on Instagram stories. 11am – A new Pretty in Pink inspired outfit post will be published on my blog. Saturday Challenge – Share a selfie with me on Twitter and use hashtag #LiveFromThe80s. I’ll be RT-ing my faves all day!